Are you struggling with any of the following issues in your biz? How to improve your SEO and get found on Etsy? How to work out who your ideal customer is, and how to connect with them? What prices you should set for your items? How to get featured in blogs and magazines? Managing your productivity – your time, energy and focus? How to get started with email marketing? Whether you should have a blog or not? Guess what? I’ve got you covered. All of these topics – and many more – are covered in the Workshops available inside the Thriver Circle right now. July 2015 – Who is your Ideal Customer, and Where Can you Find Them? 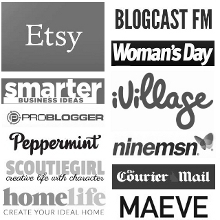 January 2016 – An exclusive 21 day Handmade Biz Bootcamp. 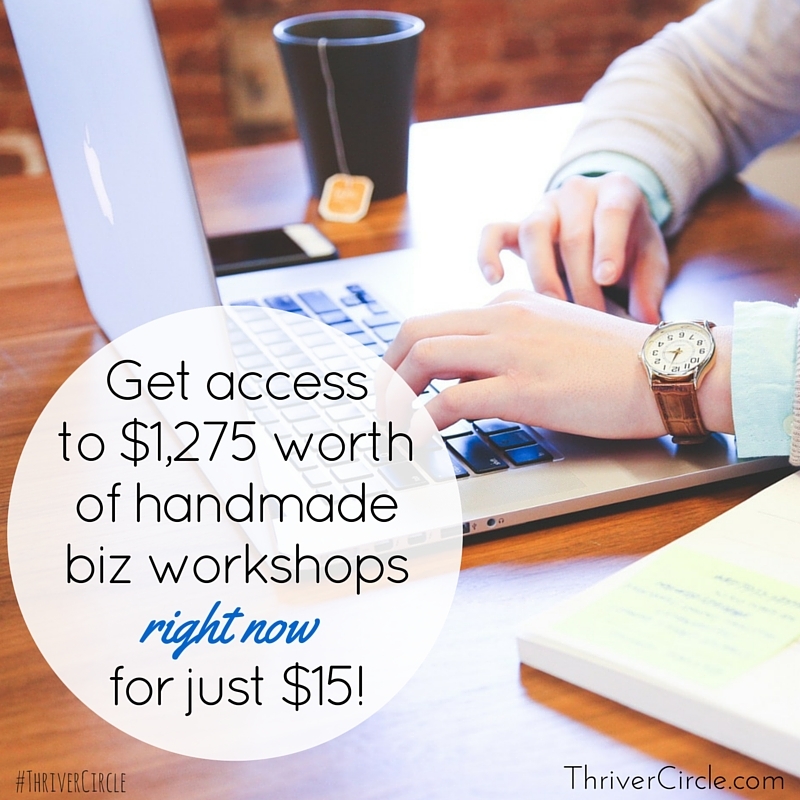 Click here to join the Circle and get immediate access to these workshops. So, that’s what’s already available. But the Workshops are just going to keep coming atcha! Each of these workshops is between half an hour and an hour long, in video format. You can also download them in audio format, AND you get a pdf copy of the workshop slides, too. If I was selling these workshops individually, they’d be priced at $75 each. So if you sign up to the Circle now, you get $1,275 worth of value right there at your fingertips, straight away… for just $15. And it’s just $15 per month to retain access to them, and every single workshop I release in future – one every month. By the way, these workshop are NOT for sale outside of the Circle – it’s the only place where you can access them. Join the Circle and get access to the workshops now. “I have to say… I just did the June workshop “Critique Yo Self” and wow, Jess! What a gem! This is what I’ve been struggling with for the past few months, I now realize. I have known what’s wrong all along but I just didn’t want to admit it to myself (though I was slowly getting there… maybe…). I’m going to have to do some real revising here and bite the bullet. So many great suggestions. (… I took 7 pages of notes!) Thank you! There are so many benefits to being part of the Circle… and for such an affordable price. What’s the last investment that you made in your business? How much value did it truly provide? You can join us here, or find out more. Remember, I’ve only opened the doors for a short time. Membership closes midday Friday AEST. P.S. As always, just leave a comment if you have a question and I’ll get back to you personally.